I wanted to know whether i can add a new module and then add hourly rate to the module? The hourly rates and work types are attached to the project and are available to any of the modules within the project. Here is an updated hierarchy diagram showing how Intervals organizes clients, projects, milestones, modules, tasks, and work types. The main difference is the addition of milestones. Milestones are a collection of tasks that all need to be delivered by the same date. 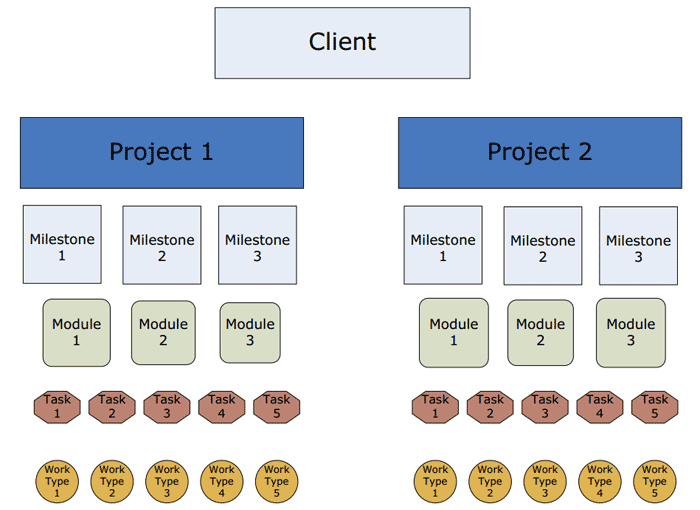 Milestones work well for managing launches, mini projects and phases of a project.